As the press release of GlobalFoundries informs us, the manufacturer demonstrated working silicon in the form of a 2.5D package for a 14-nm custom-made LSI (ASIC) and HBM2 memory. Behind the heap of words lies the simple fact that GlobalFoundries was able to independently release something like AMD Fiji / Vega graphics processors, which are a complex construction of silicon substrate, interposer and GPU and HBM2 chips with a common interface for Memory connections. All this means a lot of intermediate operations, including work with end-to-end TSVs and micro BGA contacts. The presented solution is a significant achievement. According to GlobalFoundries, today only two companies in the world can produce ASIC chips in the 2.5D package. 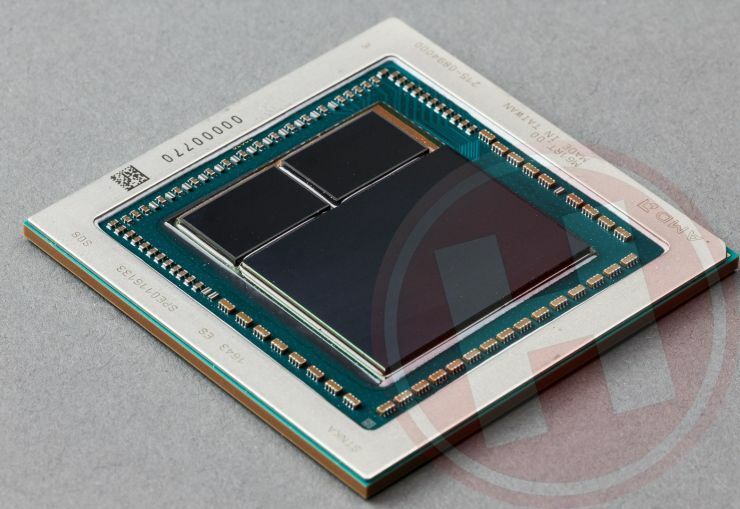 AMD Fiji graphics processors with HBM memory on UMC bridge-substrates were packed by two companies - Amkor Technology and Advanced Semiconductor Engineering (ASE). About the packers GPU Vega with the memory of HBM2 has not yet been reported. The packing operation is quite complicated, which can lead to limited production of integrated solutions, including Vega, Volta and other solutions with HBM2 memory. It's nice that the company GlobalFoundries now (or soon, if we talk about mass production) also knows how to make similar decisions. In general, the 2.5D package serves as an interim solution before moving to total TSVc end-to-end connections. But even it allows to definitely increase the density of semiconductor solutions due to slowing down the process of reducing the scale of technological norms. It is noteworthy that GlobalFoundries offers ASIC developers a complete package for the design of 14-nm solutions and soon adapts it for the design of 7-nm chips, including packaging of these on technology 2.5D. High density and the availability of high-speed transport HBM2 guarantees the demand for technology from developers of solutions for supercomputers, clouds and active network equipment. 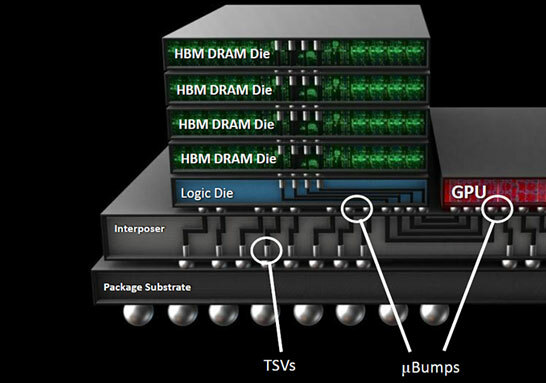 A few words about the transport of HBM2. In February, we reported that Rambus provided GlobalFoundries with the physical level of the HBM2 interface for integration into the manufacturing process . As you can see, GlobalFoundries has successfully coped with Rambus' home storage and is ready to pack ASIC with HBM2 memory operating at maximum allowed frequencies (up to 2 Gb / s per line). For this special thanks to Rambus, which, despite its "legal" nature, has not lost the talent of its engineers and repeatedly demonstrates progress in the development of signaling interfaces.